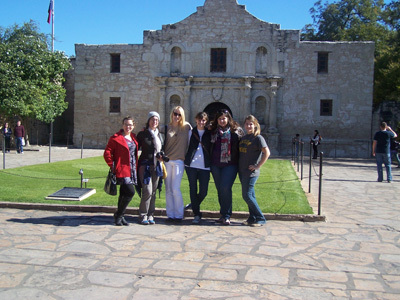 Historic Preservation Students at the Alamo. 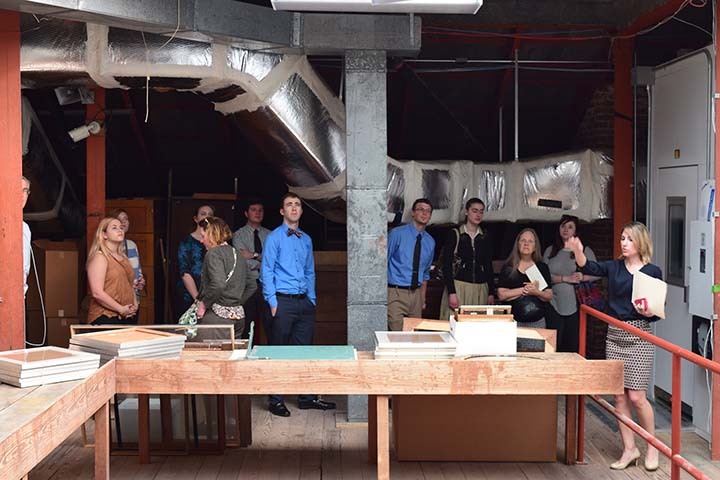 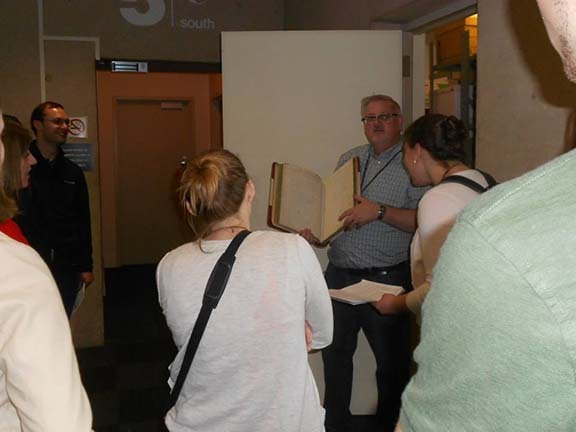 Students in Dr. Julie Holcomb's archives class toured the Dallas Municipal Archives. 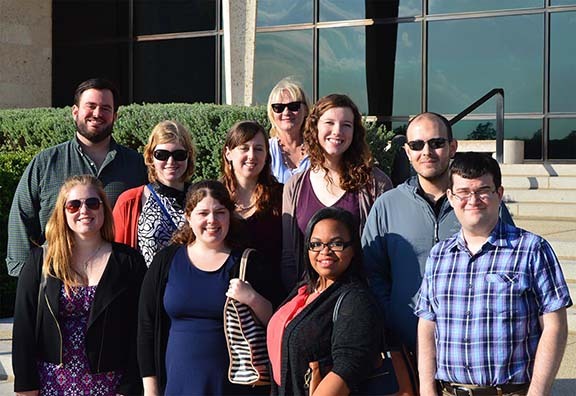 In their first semester, graduate students generally take an overnight field trip to visit museums in Fort Worth, Texas. 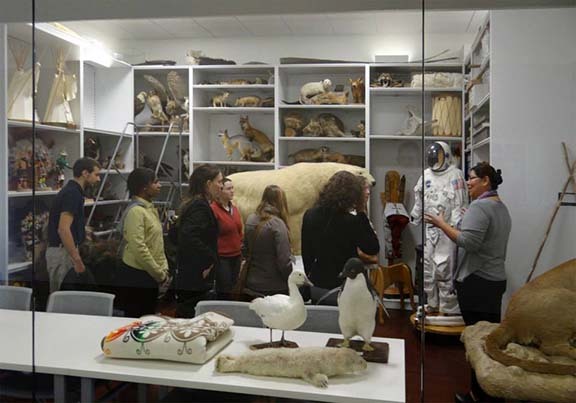 A behind the scenes tour at the Fort Worth Museum of Science and History. 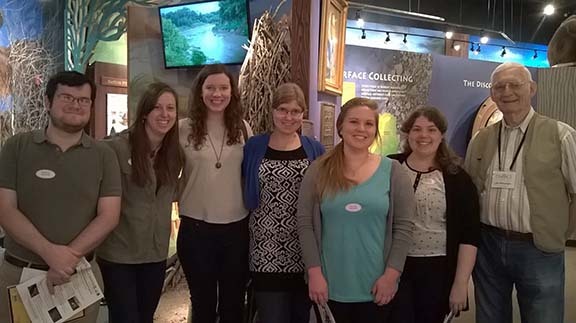 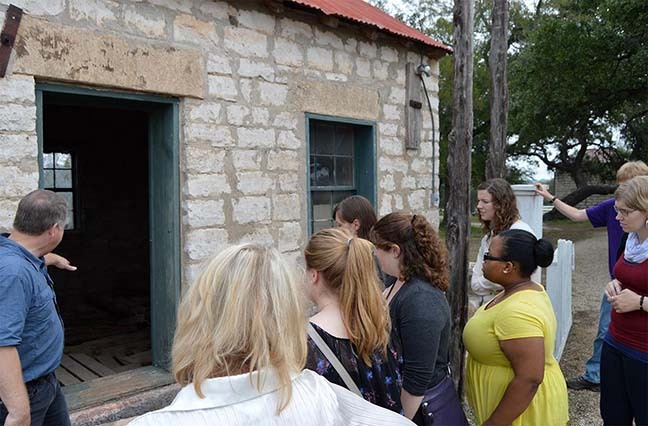 Students in Dr. Julie Holcomb's ethics class toured the Pearce Museum at Navarro College. 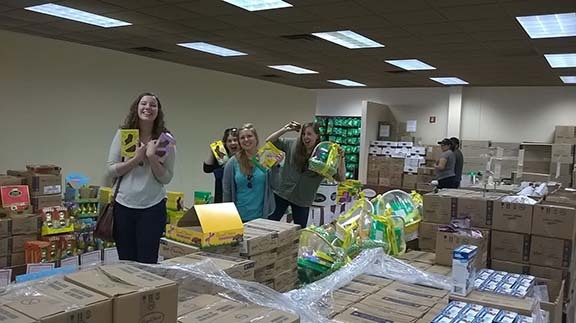 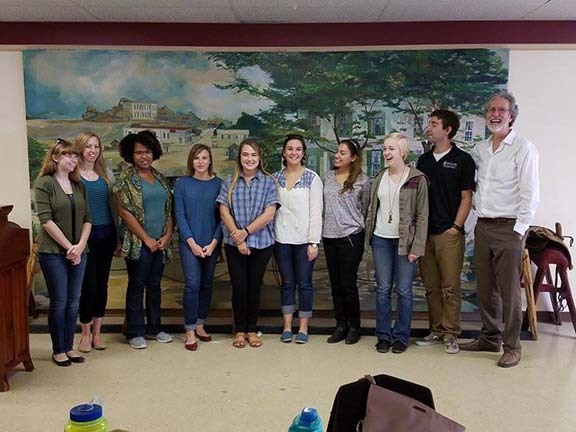 Students can work up an appetite on field trips, so the students in Dr. Julie Holcomb's ethics class made a stop at the Russell Stover Candy Factory in Corsicana, Texas. 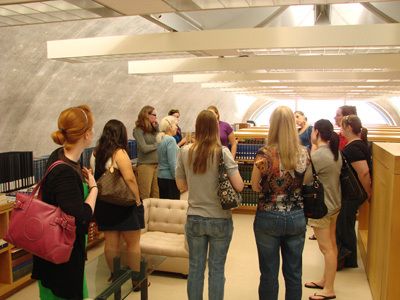 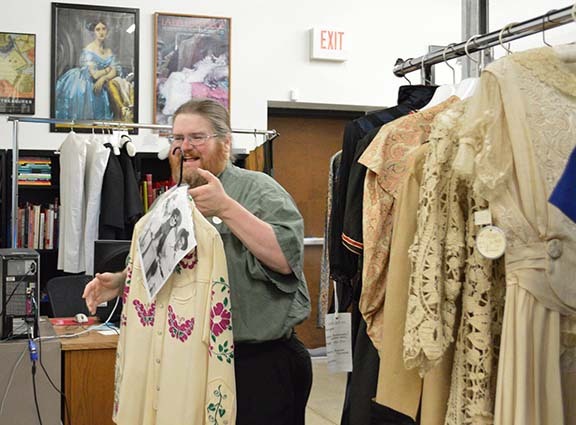 Students in Dr. Julie Holcomb's Preservation Management class visited the Texas Fashion Collection at the University of North Texas. 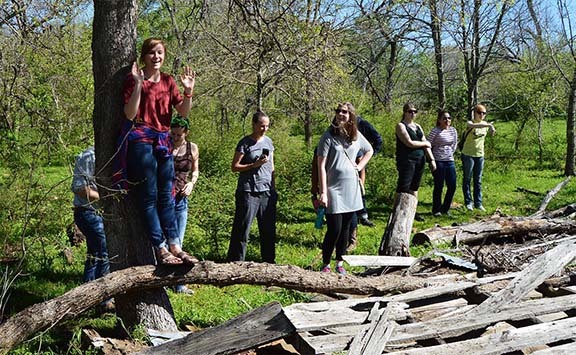 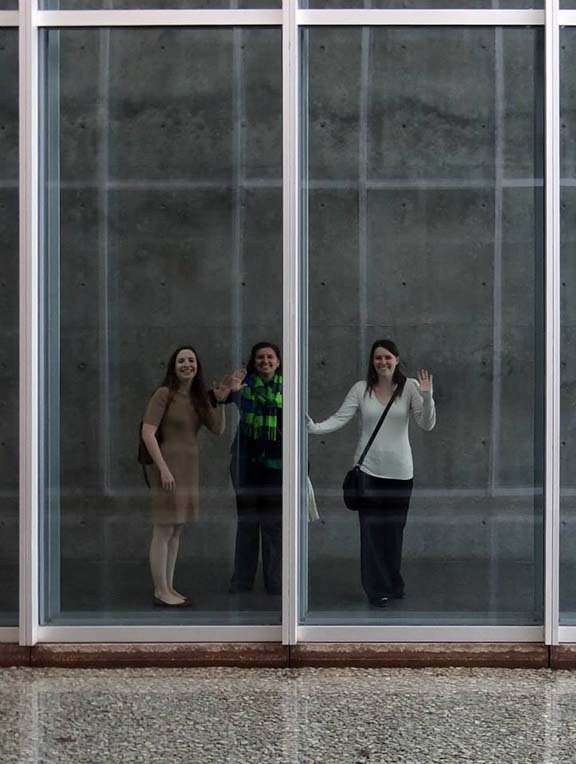 Because our program is a unique blending of the academic and the professional, many classes go on the road, visiting museums large and small in Waco and beyond. 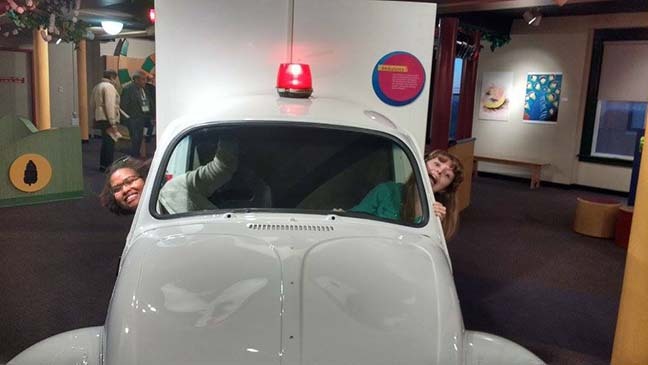 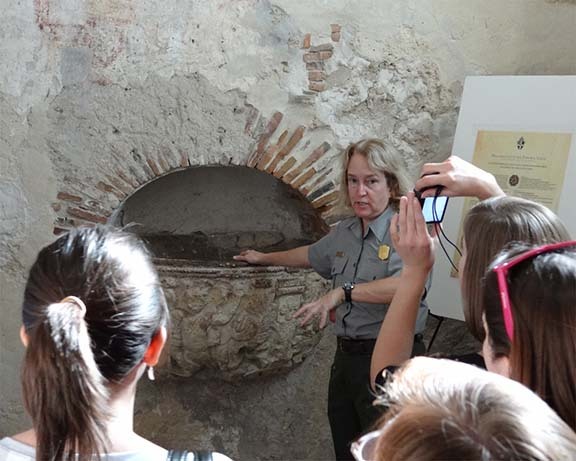 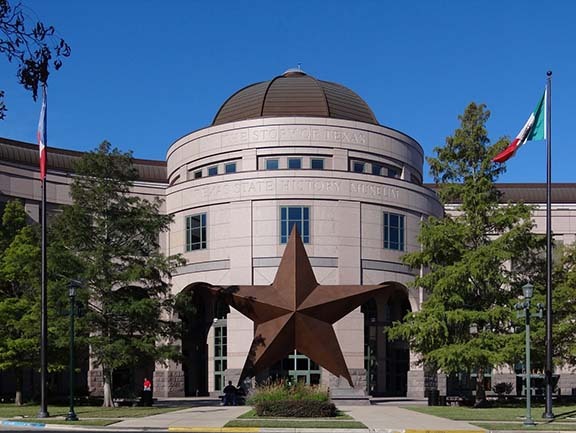 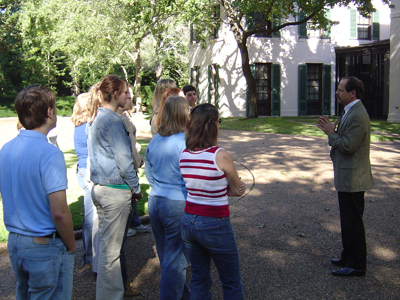 In addition, students who attend the Texas Association of Museums have the opportunity of going on additional field trips with museum professionals.